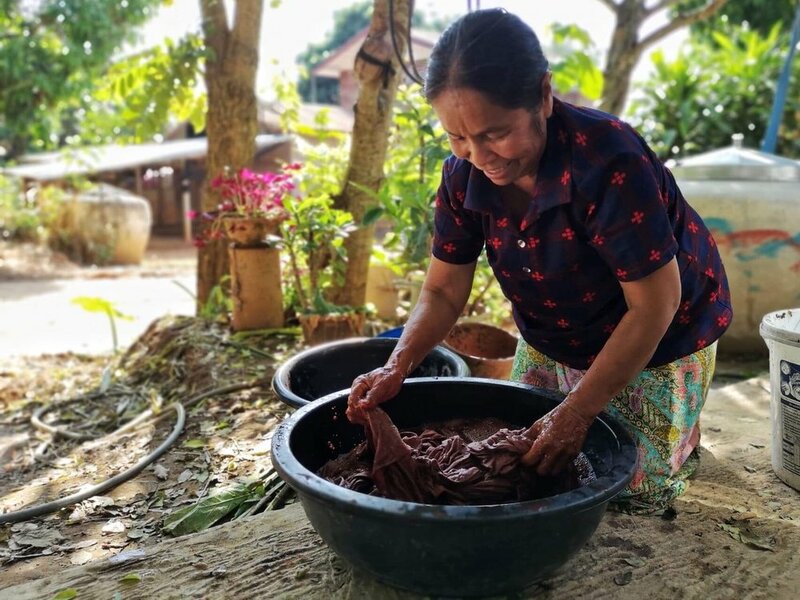 In Na Nong Bong, the grandmas do everything they can to protect the environment and their community. They know firsthand how chemical contamination can harm people and the earth, so minimizing the environmental impact of producing their scarves is crucial. This winter, RadGram is releasing a new line of 100% natural scarves in stunning colors that support our mission of environmental restoration. Textile mills contribute 20% of the world’s water pollution so although RadGram’s production is small scale, the grandmas are actively working towards a safer and more sustainable model for textile production.